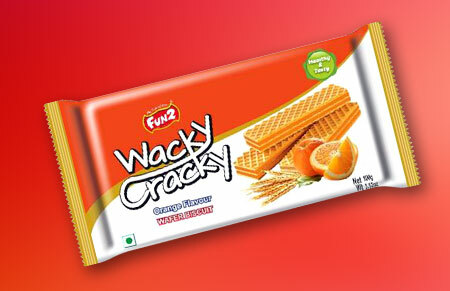 Bakewell Biscuits Wacky Cracky Wafer range is the well-dressed variety for mothers for their children and family as mid-day light snacking or as a lunch box meal. Bakewell Biscuits Wacky Cracky Wafers recommend great taste and manufactured goods experience with mixture of Crunchiest mouthful with mouth-watering smooth cream. Our products are made from premium ingredients and packed in world class packaging to guarantee quality.